Installing LED fixtures into a century-old building in Studio City, Calif., may not sound too exciting on the surface, but Doug Jenkins, co-owner of Clarkston-based Kimberly LED Lighting, counts the project among the firm’s most fascinating. 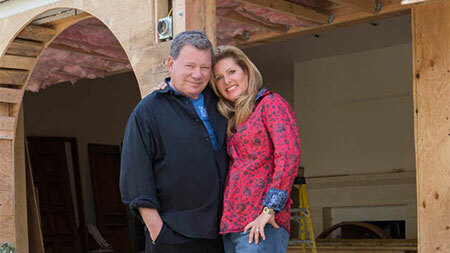 After all, the former one-room hunting lodge, later expanded into a residential home, is the subject of the DIY Network’s latest celebrity home renovation series: The William Shatner Project. The six-episode series, which airs at 10 p.m. Thursdays, actor and his wife as they renovate their 1970s, Mediterranean-style home, taking on everything from the kitchen to the outdoor patio. Kimberly, which provides LED lighting for commercial and residential applications, was introduced to the reality show by Traverse City-native Carter Oosterhouse of HGTV’s Trading Spaces. Oosterhouse first became familiar with Kimberly when he was seeking LED products for Bonobo Winery, a new enterprise on Old Mission Peninsula, near Traverse City. For more information about The William Shatner Project, including future viewing dates and times, click here.